Output 13.8 VDC. Weight 3 Lbs, 1.36 (kg). Used in a mining operation for around on year. Tested and working. We want the MasterWatt Lite Series to be that simple. Active PFC PWM combined with dual forward topology and double EMI filter enhances power output efficiency and increases the performance and stability of your system. 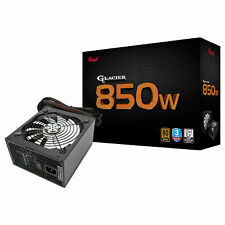 SeriesEVGA 600 W1. Maximum Power 600W. SATA Power Connector 6. Energy-Efficient80 PLUS Certified. Connectors1 x 24 PIN ATX. MTBF >100,000 Hours. Weight4.00 lbs. Main Connector 24Pin. Mother Board Connector - SATA Connectors - 4 pin x 1. - CPU Connector - 20 4 pin Connector x 1. During past month. 12 Volt Rails Form Factor. OUTPUT POWER 500 W. If you prefer you may also feel free to recycle such materials to any local R2 or e-Stewards certified recycler. MPN ATX-CW500WP4. Dell Precision T5610 T5810 T7810 Series. Compatible Models: Dell Precision T5610 T5810 T7810 Series. CYP9P 0CYP9P CN-0CYP9P. Dell Part Number: CYP9P 0CYP9P CN-0CYP9P. Total Output: 685W. We reserve the right to accept or decline your order. The preferable type of PFC is Active Power Factor Correction (Active PFC) since it provides more efficient power frequency. Because Active PFC uses a circuit to correct power factor, Active PFC is able to generate a theoretical power factor of over 95%. * Brand: Dell * Power: 240W * Part Number: CCCVC, RV1C4, 3WN11, J50TW, 2TXYM, 709MT, 592JG, 66VFV, 3YKG5, PH3C2 * Model: H240AS-00, AC240AS-00, L240AS-00, AC240ES-00, H240AS-00, H240ES-00, D240ES-00, DPS-240WB, D240AS- 00, DPS-240AB-5 A. Compatible with: Dell Optiplex 390, 790, 990, 3010, 7010, 9010. Improved heat dissipation layout. Load Regulation:<1%. Power Factor:>0.95 (full load). Output Short Circuit:Yes. High power density, only 1.4U. Output Overcurrent:134-185A max. 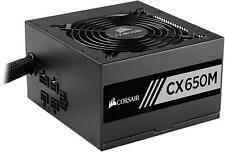 Rated Power(220V input):1600W. EVGA 1000 G3 - "The Next Generation in Power". 80 PLUS Gold certified, with 90% (115VAC) / 92% (220VAC~240VAC) efficiency or higher under typical loads. Fan size/ Bearing: 130mm Hydraulic Dynamic Bearing for ultra-quiet performance. (supports both 6pin and 8pin PCIe video cards). 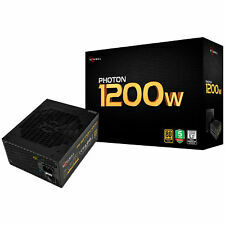 (1000W LED version has 2x PCIE connectors). Special slippery circular tube design b lack anodized f an-guard allows air to flow in smoothly and quietly while providing protection against unintended installation injury. 1000W LED version has 2x PCIE connectors. Maximum Power Output: 750W. Quiet Operation. Black casing with silver round circular fan guard. Cooling Fan. Input: 100-127V AC or 200-240V AC - selectable by switch. Style:G2 | Size:1300W The EVGA SuperNOVA 1300 G2 has arrived! This power. Designed with enthusiast needs in mind the EVGA SuperNOVA 1300 G2. SuperNOVA 1300 G2! efficiency and is fully modular. Take your system to the next level and power up with the EVGA. Mother Board Connector - 20 4 pin Connector x 1. 12 Volt Rails - 6 Pin PCI-E. - Floppy Connector - 4 Pin Molex. 140mm large fan design for optimal system cooling and maximizing performance. Quiet Performance. Compatible models shown above are for reference purpose only. not all compatible models are listed. EVGA SuperNOVA 750 G3. Condition is Used. Shipped with USPS Priority Mail.